Although I had Kate Atkinson’s Started Early, Took My Dog on my to-read list, my good intentions went astray and I never did read that book. 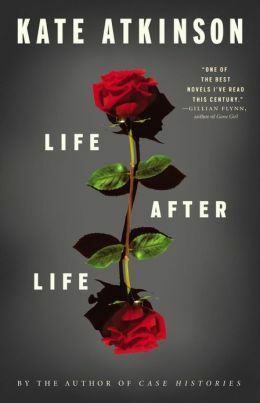 Now she has a new novel, Life After Life, and the theme seems vaguely familiar: the main character relives a segment of her life over and over, never realizing she has been there before. An interesting conceit that has been used before, so I preordered the book, and it now sits on my Kindle. But – not until I read Sarah Lyall’s interview of the author in her New York Times article Kate Atkinson’s Groundhog Day Fiction – “Three Beginnings, Reverse Chronology and a Novel That Starts Over in Every Chapter,” did I want to read the book. Lyall connects the author to her writing, uncovering some of those moments the reader always wonders about – where is the connection of fiction to the author’s life? As an intensely private person, Atkinson carefully reveals only a sampling of her thoughts behind the writing, but it is enough. This entry was posted in authors, books, mysteries, reading, science fiction and tagged Amazon Kindle, Atkinson, Author, Kate Atkinson, Life After Life, New York Times, reading, Sarah Lyall. Bookmark the permalink. Started the book but got distracted with travel reads. Let me know what you think of it. I’ve had the same reaction to this book. Just can’t generate any interest in it. I read the NYT interview, also, along with a few others. I’ll pass on this one.